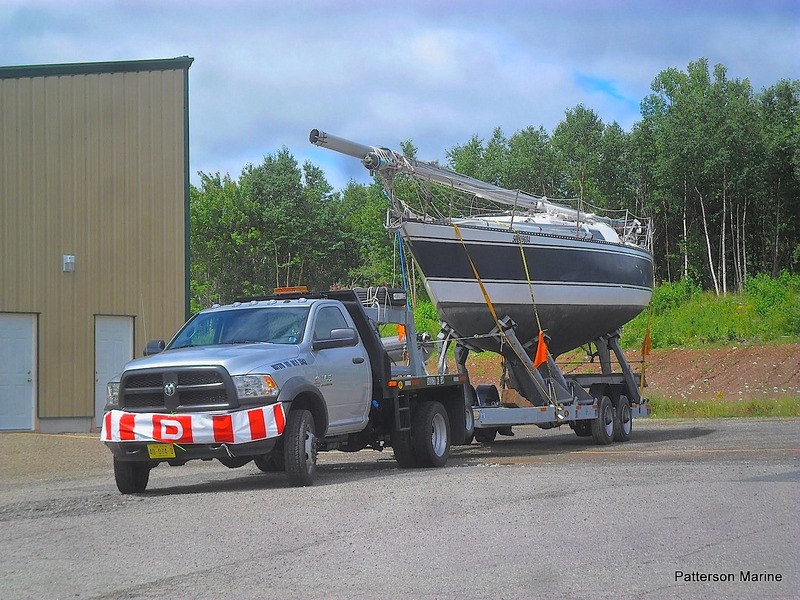 Bras d’Or Boatworks is able to provide efficient service to Cape Breton and Eastern Nova Scotia from its location adjacent to the Trans-Canada Highway at Baddeck, Cape Breton, Nova Scotia. 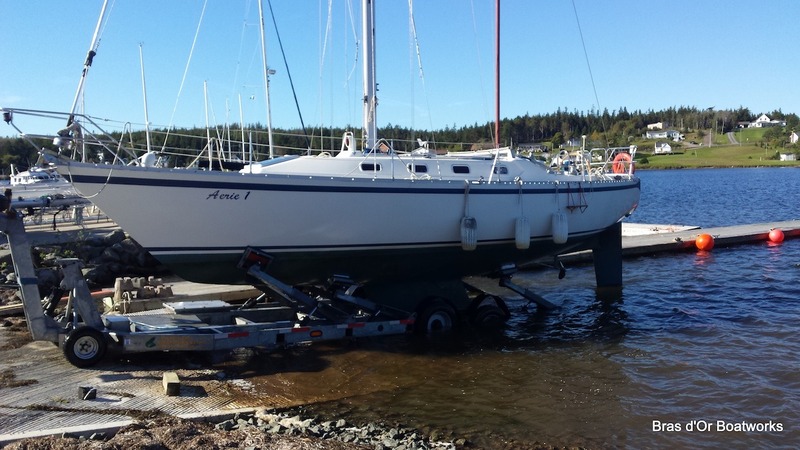 Hauling and launching within 5 kms of the Baddeck waterfront is on a per ft basis with blocking included. For distances outside the 5km radius but still within 100 kms a time and mileage surcharge applies. Our equipment can self load/unload in your yard or ours using jackstands and keelblocks. Safe and efficient, the system was invented by the manufacturer of our trailer and perfected over the last 63 years. 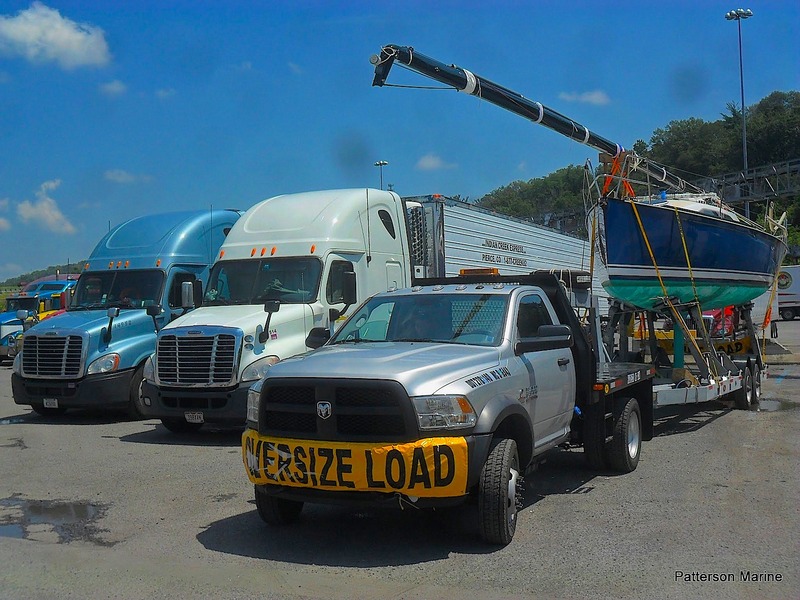 Our equipment was designed and built for safe and efficient highway operation. Bras d’Or Boatworks maintains annual fuel and over-dimensional permits for vessels up to 20k lbs, anywhere in Nova Scotia or New Brunswick. Prince Edward Island and Newfoundland and Labrador destinations are subject to provincial permit and crossing fees. 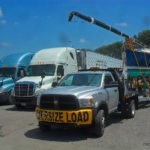 Charges are based on mileage and may be adjusted according to individual load details. Want to get a head start on a ICW cruise? Think that a passage to the Caribbean should start south of Hatteras? Looking at a great deal in Southern Ontario and wondering how much it would cost to get her home? Contact us for an individualized quote. Bras d’Or Boatworks will arrange all the required permits and can provide assistance at every step of the way. 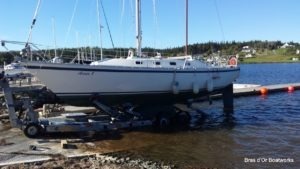 Near or Far, we can help get you and your boat in the waters of Cape Breton for your next adventure.